In the following list of examples, clicking the image shows you a full-size version, and clicking in the image title leads you to a page where the source code is shown with additional comments. Block-diagram of BER measurement on fibre optical system, involving QD SOA. 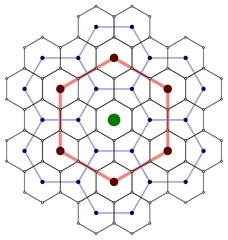 This example shows a grid of hexagonal areas. 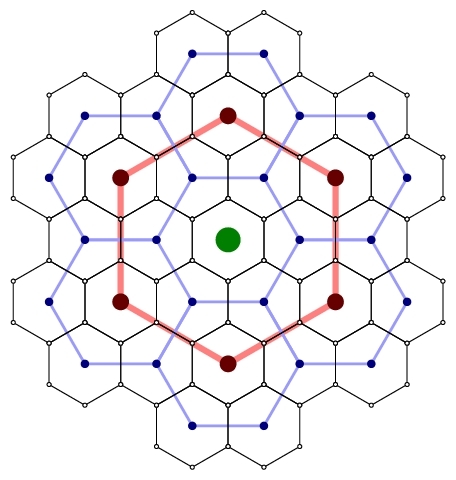 The code makes use of polar coordinates for easier positioning of hexagons and centers. 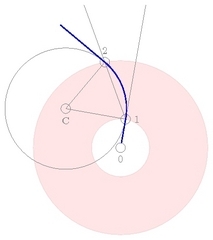 Drawing the trajectory of a charged particle in a circular field. The field is constant between two radii. The particle is shot from the center in radial direction, with a given angle. It enters in the field, follows a circular arc while it is in the field, and exits the field at external radius, being deflacted a given angle. The problem is to draw this trajectory for any values of the internal and external radii, the initial angle, and the deflaction. This creates an interesting geometric problem which Tikz can solve nicely.